Deep down inside, we all want to win the first prize. If for no other reason than to prove to ourselves that we can. Or perhaps just to impress our friends and colleagues or to have something to talk about when we get home both for fun and earnest. After all, a prize is also a memory! Every time you look at it, you’ll remember how you felt when you went forward to receive it. 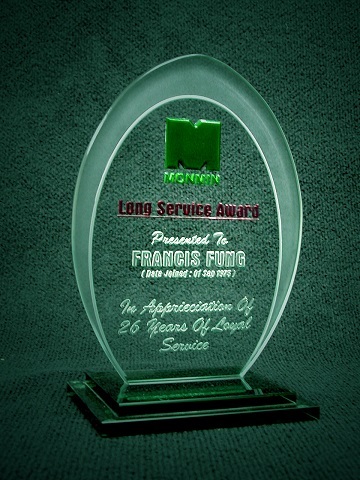 At Monmin, we have long specialized in golf prizes and others awards, such as gifts, achievers, recognitions, collectibles, coperate image or educational with a range of beautiful, hand made glass award with bevel, edge works and round, everything from champion’s cup to consolation prizes.